Starting this week, voters can go to three new online platforms to watch the Obama-Romney presidential debates and to see how their views on 11 issues compare to those of other Americans. The forums will help educate voters while also providing the media companies — YouTube (s goog), AOL (s aol) and Yahoo (s yhoo) — with a chance to pump up their political offerings. This isn’t the first time the Commission on Presidential Debates has worked with online media companies to educate voters. In 2008, the non-partisan CPD partnered with MySpace (described then as “the world’s premier social network”) to stream the Obama-McCain debates and offer political learning tools. When filling out the surveys, voters will also be able to indicate that a given issue — say jobs or the environment — is important to them. This will produce graphics showing how voters prioritize the different issues. 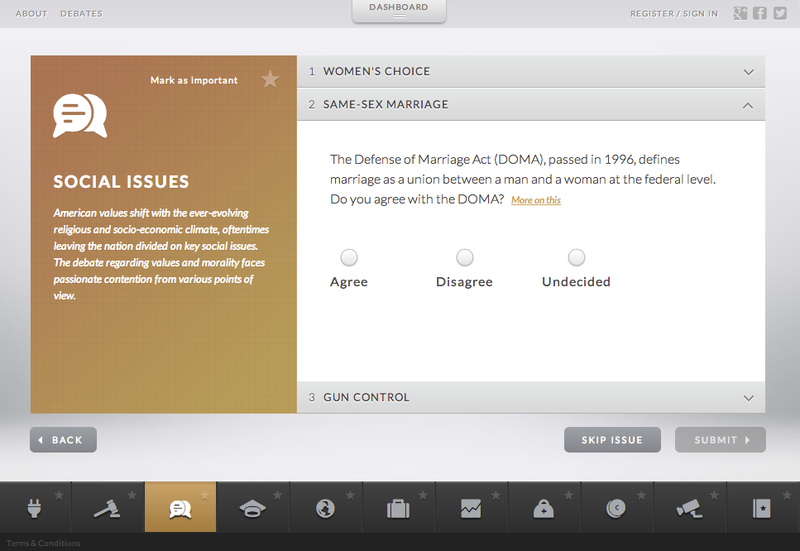 For CPD, the debate sponsor, the new online partnerships are a way for it to carry out its mandate of educating voters. For the media partners, it is a way to showcase their political coverage. According to Chris Grosso, SVP of AOL Homepages, the debate channel will let the company “showcase different brands” like AOL, Patch and the Huffington Post. As an example, Grosso said that if a topic like the auto industry bailout comes up, AOL will be able to “surface” relevant content from a Patch live blog. 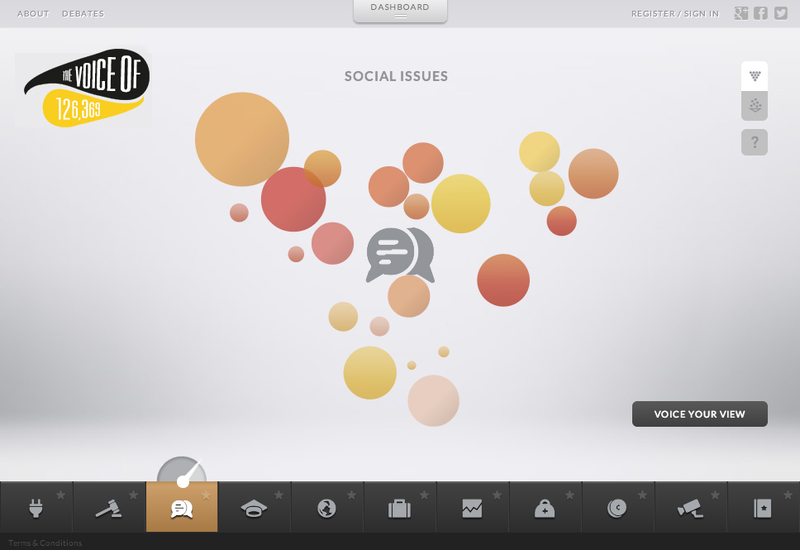 The interactive toolkits were produced for the Commission as a pro bono project by New York ad agency BBH. This would be an excellent way politicians and citizens can benefit from if it were mainstream/very popular. 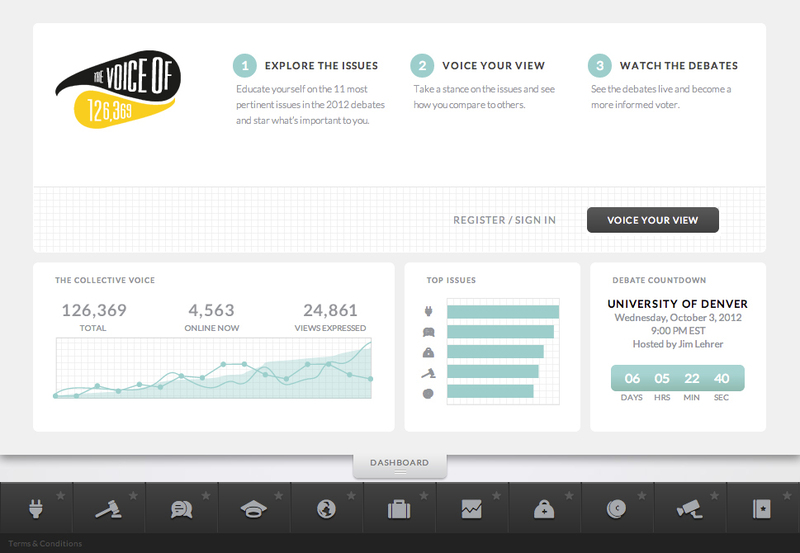 Although YouTube, AOL, and yahoo are highly visited websites, “The Voice Of” is a relative new term. I believe they should advertise this website via T.V, radio, and by public rallies. I am not suggesting other companies should invest in this, but rather the people should spread this website to their fellow peers, family, and friends because this empowers the people. What’s the point? It’s not a debate anymore, it’s a joint press conference with pre-scripted questions and answers. The exclusion of all candidates, even those that will be on more than enough ballots to mathematically have a chance at the presidency, simply enforces this. It isn’t non-partisan. You might call it bi-partisan, but not bi-partisan in the good way. Bi-partisan as in bi-partisan corruption.